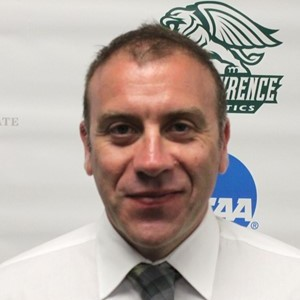 Maurizio Grillo joined the Sarah Lawrence College women's soccer program in 2017 following a stint at Manhattanville College and New York Soccer Club, a member of the U.S. Soccer Development Academy. Recipient of the 2018 Coach of the Year Award -NCAA Skyline Conference, Grillo has quickly transformed the women's soccer program in his first two seasons, compiling 14 wins, including eight victories against Skyline opponents, the most of any coach in team history. Under his guidance, the Gryphons have earned five all-league selections, the first five in team history. Grillo made an immediate impact in his very first season in Bronxville in 2017, guiding the Gryphons to nine new program records, including marks for wins, conference wins, points, goals, assists and goals allowed. Under the direction of Grillo, Lauren Ashby became the programs first-ever all-conference performer, setting team records for points and goals in a single-season. Sarah Lawrence fared even better in 2018, setting a school victory record while finishing 9-8 overall and 5-4 in the Skyline, its first winning season in school history. Sarah Lawrence earned the No. 4 seed, clinching a postseason berth for the first time in program history and a first round home playoff game for the first time in Sarah Lawrence Athletics history. The Gryphons won their first round playoff game over fifth-seeded St. Joseph's Brooklyn before falling to conference champion and nationally ranked Farmingdale State in the semifinals. Grillo coached a team-record four Skyline All-Conference performers, highlighted by Kiley Ritter, who was crowned Rookie of the Year after leading the Skyline in points (45) and goals (20), both program single-season records. In addition to getting it done on the pitch, the Gryphons have also excelled in the classroom, annually receiving United Soccer Coaches Team Academic recognition as well being the recipients of the Team Ethics Award of Merit. In addition, Grillo was the director of coaching for the Eleven United Soccer club, overseeing recruiting, game scheduling, equipment, and the teams social media accounts. Grillo previously spent four years at Evanston High School, guiding the program to regional and sectional titles. During his time with the team, he led the squad to two third-place finishes at the PepisCO Showdown, the largest high school tournament in the country. Grillos varsity team ranked as high as No. 2 in the state of Illinois and seventh in the nation by SIMA. 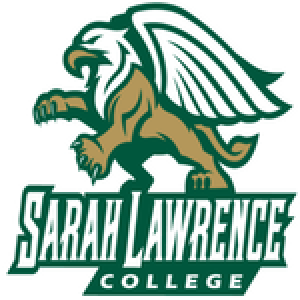 Sarah Lawrence is a prestigious, residential, coeducational liberal arts college in Westchester County. Founded in 1926, Sarah Lawrence is consistently ranked among the leading liberal arts colleges in the nation. Sarah Lawrence is known for its pioneering approach to education, rich history of impassioned intellectual and civic engagement, and vibrant, successful alumni. In close proximity to the unparalleled offerings of New York City, our historic campus is home to an inclusive, intellectually, curious and diverse community. Talented, creative students chose Sarah Lawrence for the opportunity to take charge of their education. In close collaboration with our dedicated, distinguished faculty, students create a rigorous, personalized course of student, conduct independent research, and connect with a wide array of disciplines. Students graduate knowing how to apply the knowledge, skills, and critical thinking necessary for life after college.